Industry 4.0 is here to stay; there is no doubt about that. 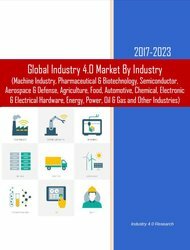 The “Asia-Pacific Industry 4.0 Market & Technologies – 2017-2023” report forecasts that the 2016-2023 Asia-Pacific Industry 4.0 market is the fastest growing regional market, which will increase at a CAGR of 23.7%. China is projected to invest hundreds of billions to retain its #1 position as the world’s leading manufacturing economy. No Risk. We Provide a Money-Back Guarantee* – With our money-back guarantee, you’ll be able to find out for yourself how valuable the report is for your business an unprecedented offer in the market research industry. The report analyzes each dollar spent in Asia Pacific Industry 4.0 market via 4 bottom-up research vectors, providing a valuable report for all decision makers in the Industry 4.0 market. During four decades, APAC led by China, has proved to be the global factory, driven by low labor costs and globalization. With the Industry 4.0 revolution, which depends more on employees’ skills rather than cheap labor and western economies Industry 4.0 investments, the tide is reversing. In order to mitigate this threat, APAC emerging economies, South Korea, Japan and China invest heavily in the 4th industrial revolution to compete with western economies Industry 4.0 ramifications. They provide government funding for Industry 4.0 projects, R&D, subsidies and tax incentives to Industry 4.0 investors. The PRC Made in China plan, an industrial-policy program is derived in part from Germany’s Industry 4.0 model, which focuses on creating a helpful environment through training and policy support but leaves business decisions to companies. China’s version is much more hands-on. The plan includes 1,013 state-guided funds, endowed with $807B, much of it for Made in China industries. The program includes a manufacturing-subsidy program, spread across 62 distinct initiatives. According to the report, China will dominate 42% of the APAC Industry 4.0 market by 2023. In India, the world’s fastest growing economy, it is estimated that the industrial sector will embrace Industry 4.0, and transform the Indian manufacturing economy. Japan is a highly robotized country and the world´s predominant industrial robot manufacturer with a market share of 52%. To address its 21st century economic, social and industrial challenges Japan launched its Society 5.0 program. 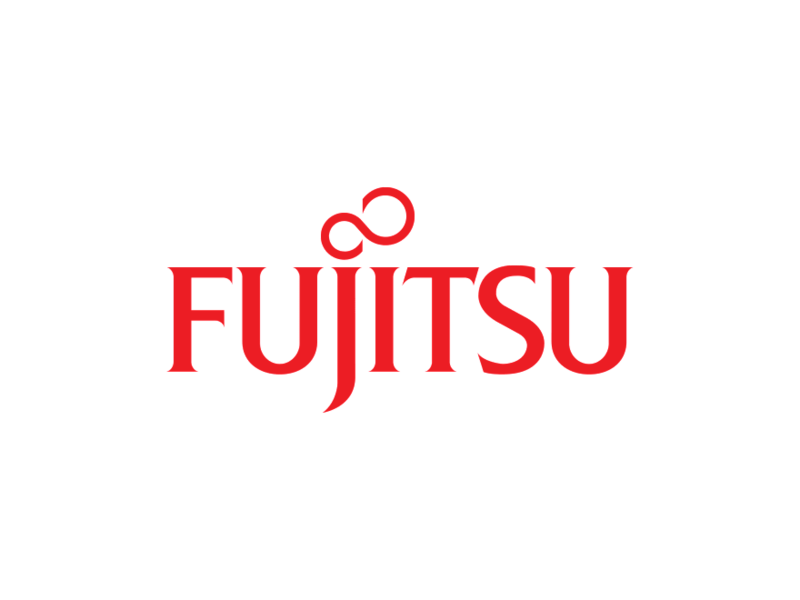 The Society 5.0 program includes (but is not limited to) Japan’s Industry 4.0 program. In the next decades, Asia Pacific businesses will establish global networks that incorporate their machinery, warehousing systems and production facilities in the shape of cyber-physical systems. In the manufacturing environment, these cyber-physical systems comprise smart machines, storage systems and production facilities capable of autonomously exchanging information, triggering actions and controlling each other independently. These changes add to the traditional business pressure on manufacturers, but also offer unprecedented opportunities to optimize production processes. The “Asia-Pacific Industry 4.0 Market & Technologies – 2017-2023” report is the most comprehensive review of this emerging market available today. It provides a detailed and reasoned roadmap of this rapidly growing market. 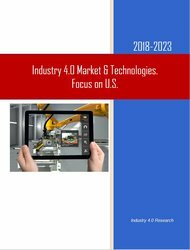 The report analyzes each dollar spent in the Industry 4.0 market via 4 bottom-up research vectors (see Figure 1), thus providing a valuable report for all decision-makers in the Industry 4.0 market. What was the Asia Pacific 40 submarkets size and what were the trends during 2016? What is the 2017-2023 forecast for each of the Asia Pacific submarkets? What drives the Asia Pacific Industry 4.0 managers to purchase solutions and services? 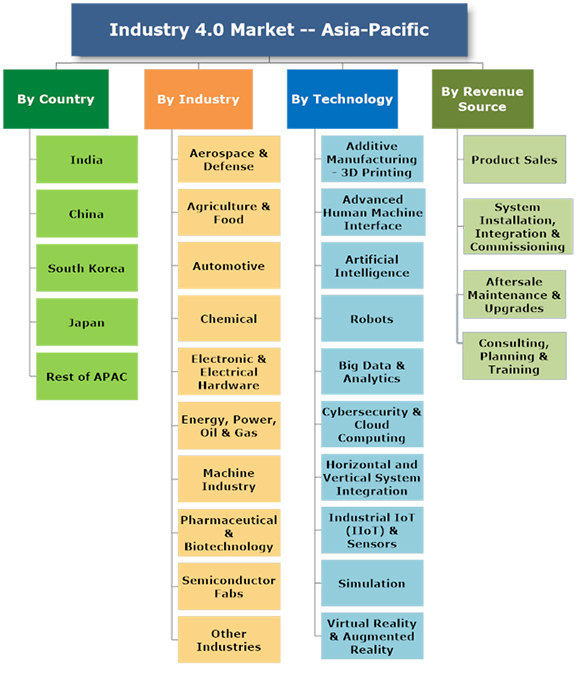 What are the Asia Pacific technology & services trends? 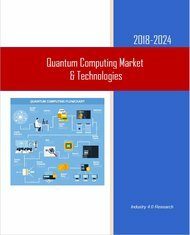 With 409 pages, 65 tables and 750 figures, this 4-volume report covers 10 technologies, 10 industries, 4 revenue sources, and Asia Pacific national markets, offering for each of them 2016 estimates and 2017-2023 forecasts and analyses..